I’ve never been big on baked lemon desserts…until this little tart came along. Most of the lemon desserts I’ve tried in the past have been made with what I assume is artificial flavouring or a sugar-overload which drowns the lemon taste completely. 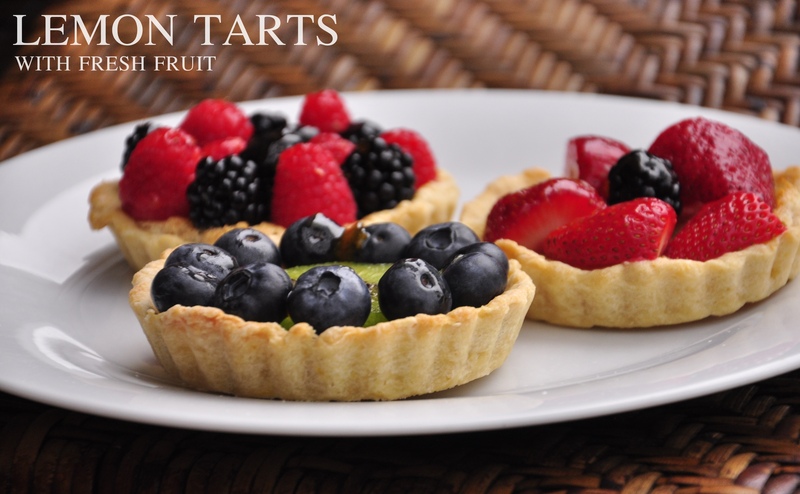 These tarts have a good balance between the semi-bitter lemon zest, the tanginess of the lemon juice and the sweetness of the sugar and fruit. I got this recipe from The Pillsbury Healthy Baking Book from 1994 which was introduced to me by an enthusiastic baker who works with my mom. I’ve always heard stories about all the yummy desserts she was bringing into work, so we finally met up and made these! Thanks Irene! Another reason this recipe is a good one to have on hand is because it’s easier than it looks. Aesthetically, it looks like a dessert that could maybe be served in a bakery. But really it takes just under an hour and you can double up the recipe however many times you need. In a medium-sized bowl, combine 1 cup flour, 1 tablespoon sugar, 1 teaspoon lemon peel and salt; mix well. Using a fork, cut in butter until mixture is coarsely crumbled. Stir in 1 egg and enough water until the mixture forms a dough ball. 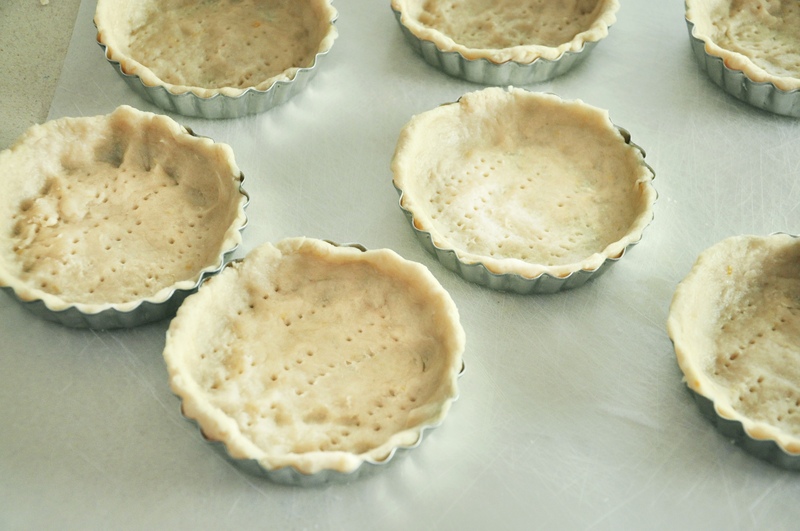 In 3.5-inch tart pans, press dough into the bottom and sides—make sure the dough isn’t too bulky. Poke the dough lightly with a fork to form air holes so the dough doesn’t puff up. Bake for 15 minutes or until golden brown. In a medium-sized bowl, combine all filling ingredients except lemon juice; mix well with a whisk. Stir in lemon juice. 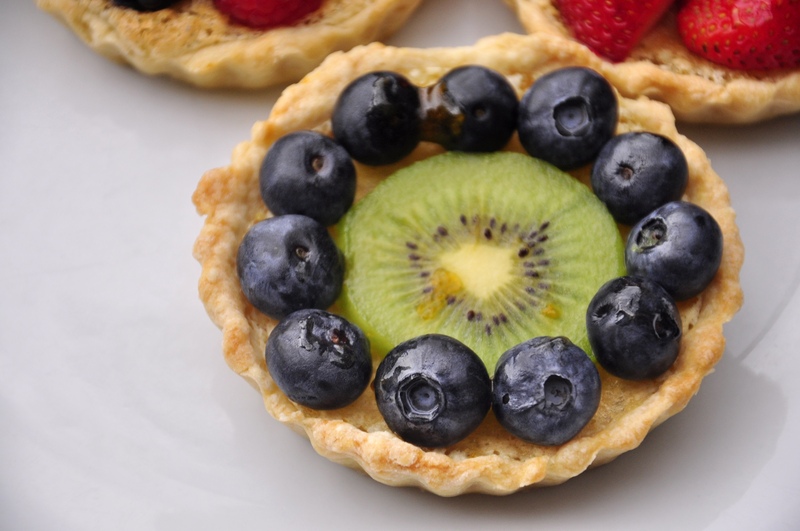 Pour mixture over warm crusts after they have been baked, and bake for 20-25 minutes until golden brown. Cool to room temperature. 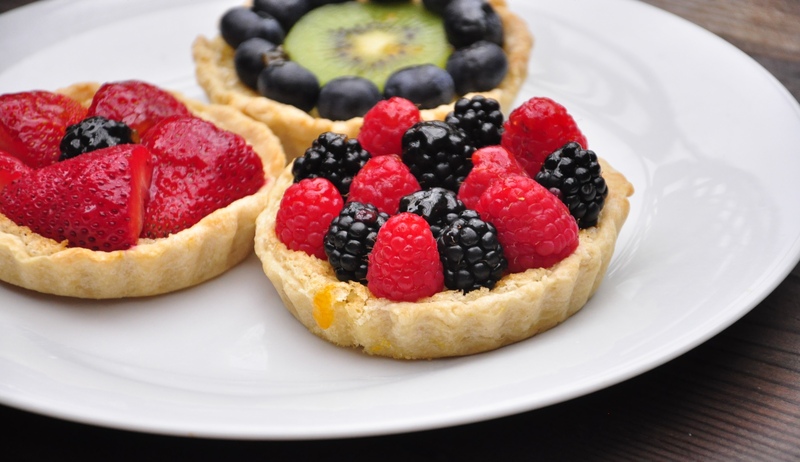 Arrange fresh fruit on top however you like, then lightly brush some of the jelly on top of the berries as a glaze using a pastry brush. Store in an airtight container in the fridge if not serving the same day.